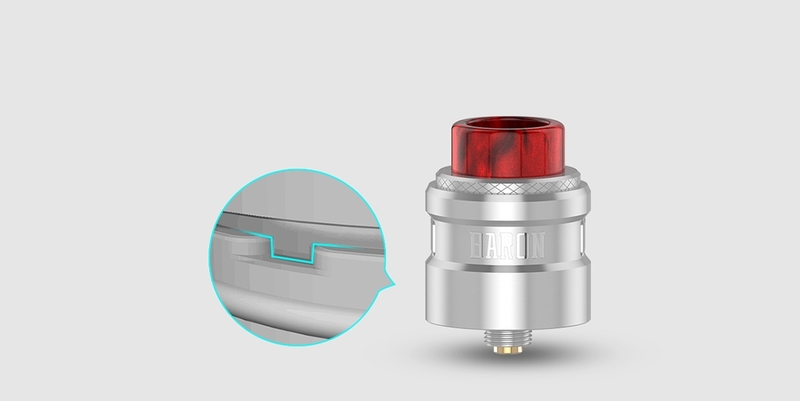 Geekvape Baron RDA is a multifunctional airflow system that allows easy adjustments. It comes with airflow cover with retaining ring design which can minimize leakage. And one-piece airflow cap placed in a fixed position that ensures airflows are always in the correct position. 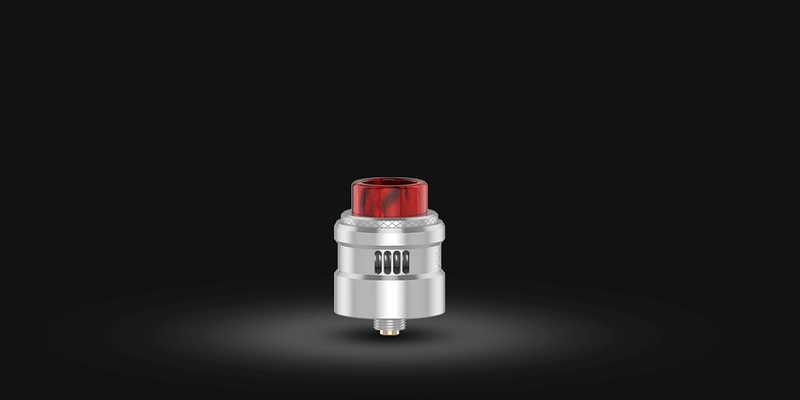 The rebuildable dripping atomizer is 24mm in diameter. 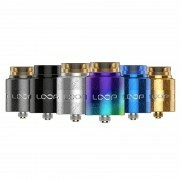 It adopts two posts deck for easy coil building. 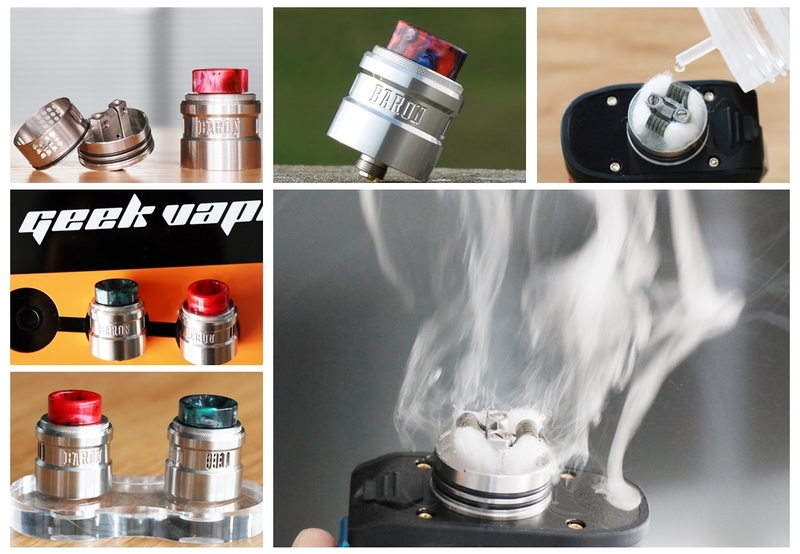 In addition, resin drip tip, PMMA drip tip, standard 510 pin, and squonk 510 pin are included. ➤ 1. Multifunctional airflow system allows easy adjustments. ➤ 2. 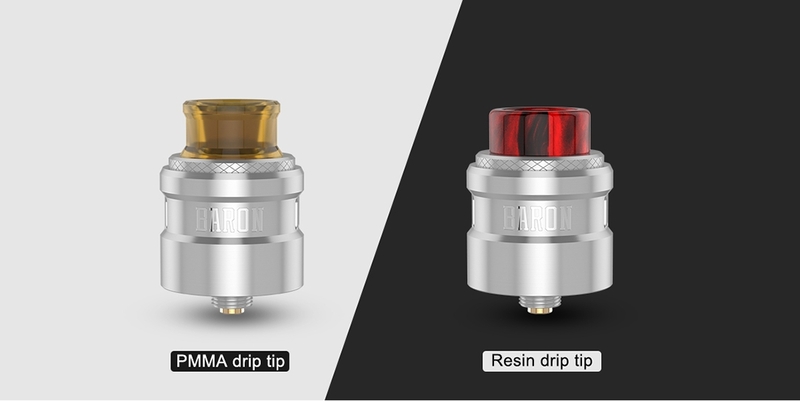 Baron RDA adopts two posts deck for easy coil building. ➤ 3. Airflow cover with retaining ring design can minimize leakage. ➤ 4. One-piece airflow cap placed in a fixed position. ➤ 5. 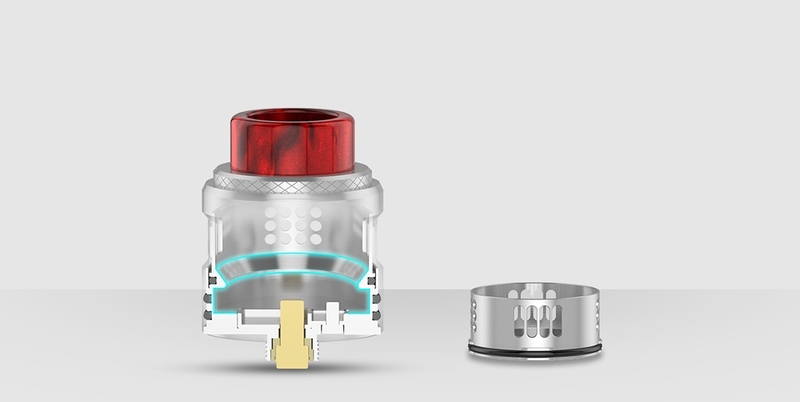 Resin drip tip and PMMA drip tip included. ➤ 6. Standard 510 and BF squonk 510 pin included. 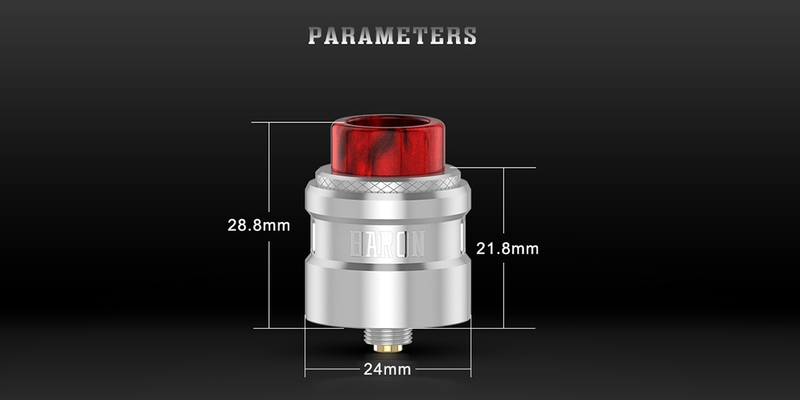 ❤ Please read the user manual carefully before using this GeekVape Baron RDA. 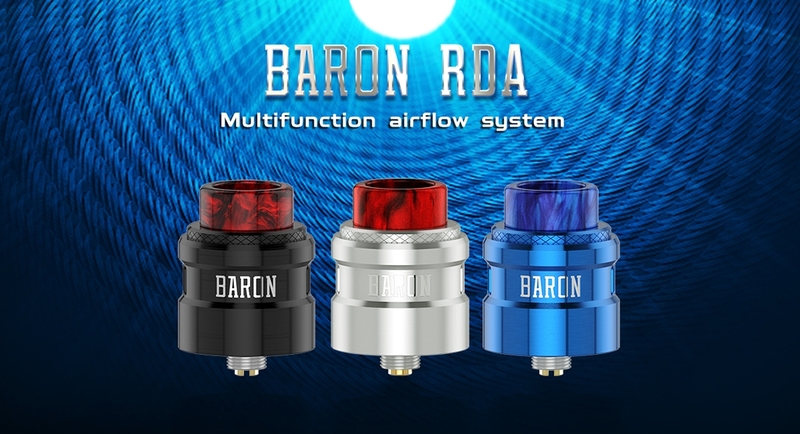 ☞ 3 months warranty period for GeekVape Baron RDA.